In an auction house in London, there is a mirror no one will buy. Standing seven feet tall and reaching four feet across, its size makes it unusual. Its horrific powers make it extraordinary. For centuries, the mirror has fed off of the lives of humans, giving them agonizing deaths and sucking their souls into its hellish world. When Jonathan Frazer, the wealthy owner of a furniture and antiques shop in Los Angeles, buys the mirror at an auction, he believes he is getting the bargain of a lifetime. With its age and size, it is easily worth eight times what he paid for it. At this point, the mirror has sat dormant for years. But within days of Jonathan's purchase, the deaths begin again. One employee is crushed when the mirror falls on top of him. A few days later, the corpse of another is found in front of the mirror, brutally stabbed. A third is burned beyond all recognition. All the while, an enormous man with a scarred face is following Jonathan, demanding that he give him the mirror and killing any police officer that gets in his way. The police are becoming desperate. As the death toll rises, Jonathan himself becomes a suspect. He knows there is something wrong with the mirror. He knows it's dangerous. But he cannot bring himself to get rid of it. Everyday he becomes more captivated by the mirror. For the mirror is awakening, and its powers are resurfacing. What the hell did I just read?! Oh,my God, how disappointed I was. 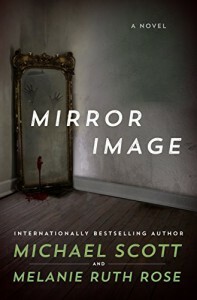 I expected it to be a good old horror story with a haunted mirror, but it turned out to be totally different from what I anticipated. Speaking about the characters I can't say much, because they were flat and boring, made decisions that were just plain odd and didn't make any sense. I didn't care what will happen to them. I JUST couldn't care less. This book or rather the idea of this book had so much potential to be truly great. But, in my opinion, it was written just for a shock factor. At some parts it felt like author didn't even read what he wrote and didn't care what it will turn out to be. Well I like when there is at least a little bit of a plot and character development. So, do I recommend this book? NO.